The problem is that audiences are likely to become as fed up with the murderous lovers (Oscar Isaac, Elizabeth Olsen) as they become with each other. It's a difficult mix for a directorial debut and, whilst Charlie Stratton seems aware of all the strands, it fails to truly convey Thérèse's sense of being trapped. 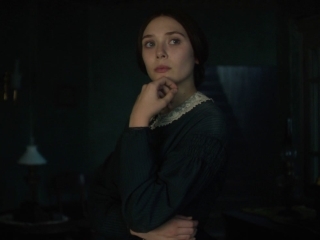 Perhaps the story lends itself rather more to a TV serial, giving Therese time to suffer in her oppressive marriage before embarking on a reckless and ultimately doomed affair. It's hard to make a dull version of Thérèse Raquin but they seem to have managed it with In Secret, a dreary, uninspired adaptation of the Emile Zola classic. If O. Henry and Edgar Allan Poe collaborated on a love story, it might look something like this juicy bit of ironic gothic romance. Despite compelling performers and source material, In Secret is a ham-fisted misfire. The movie-settish interiors and street exteriors are all painted grunge green or grunge grey: a one-coat Expressionism bordering on one-brush, broad-stroke miserablism. Boasts strong performances from a first class cast but never quite justifies its existence. A tonally indecisive film, which keeps changing its mind about major issues of remorse and ongoing motivation. Sensitive performances from a willing cast bring Zola's novel to life on the big screen.